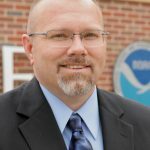 Kurt is the MPAR Program Manager at NSSL. Learn more about his work. Multifunction Phased Array Radar (MPAR) is a multiagency radar initiative. This paper provides an overview of the MPAR program. Posted in People News on October 14, 2015 by Tanya Schoor. 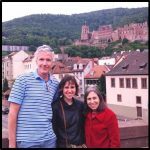 Mark Weber helps develop radar architecture and researches strategies for future transitions in technology. Learn more about him and what he does. Posted in Radar on March 29, 2013 by Susan Cobb. 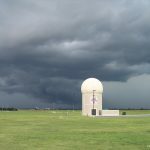 Twice each year NSSL engineers release a software upgrade to improve the capabilities of the National Weather Radar Testbed Phased Array Radar (NWRT PAR). The Spring 2013 upgrade was released this week and is now operational. Posted in Research News, Warning Research News on August 17, 2012 by Susan Cobb. 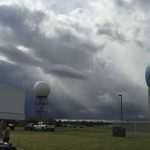 As storms moved across Oklahoma yesterday, the GOES-14 satellite, Multi-function Phased Array Radar (MPAR) and the Oklahoma Lightning Mapping Array (OK-LMA) coordinated data collection for the first time as part of the Super Rapid Scan Experiment.